I'm going to post a weekly progress update at the end of my sessions on Saturday. I've decided Sunday is going to be the beginning of the “working week” in regards to me playing poker. I'm going to post a weekly progress update at the end of my sessions on Saturday. I've decided Sunday is going to be the beginning of the "working week" in regards to me playing poker for two reasons. 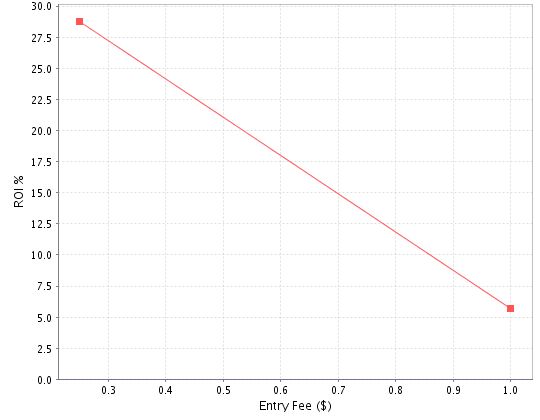 Most of the member freerolls (Titan, PKR, Pokerstrategy) are held on Sundays. If Sunday was the end of the week - and I'd made a loss during the week like I did this week - I'd be focussing more on my losses than playing my A Game in the freerolls. My first post in this blog was on a Saturday. 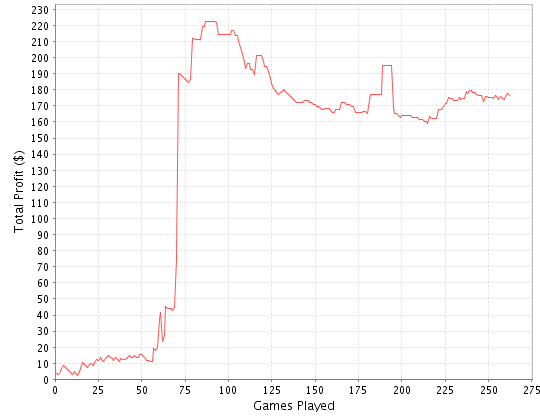 Played some $0.50 (Darwin) SNGs on Titan today. My profit on PKR this week is only slight, and taking my big loss on casino side-games at the beginning of the week into account, I am massively down this week. I lost my whole bankroll and had to redeposit. I am also down on PKR Points, and am further away from my target of 25,000 PKR Points than I was at the beginning of the week. Hopefully I'll place in a PKR Points tournament at some point next week. 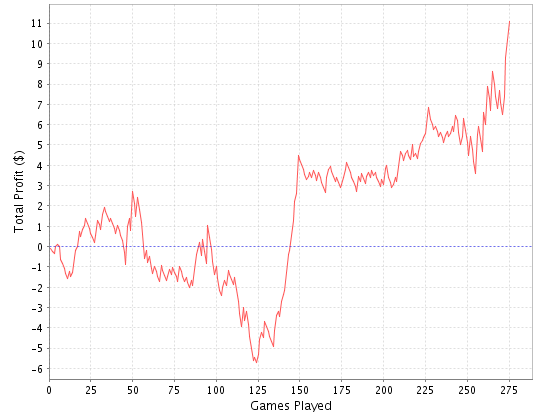 My ROI for the $1 SNGs on PKR is above my 5% goal. My current target is to maintain it at this level and aim for the 10% mark. My SNG profit on Titan is currently at $11. My next bankroll target of $50 is $2.20 away, and I am a further $5 from moving up to the $1 SNGs (bankroll target of $55). 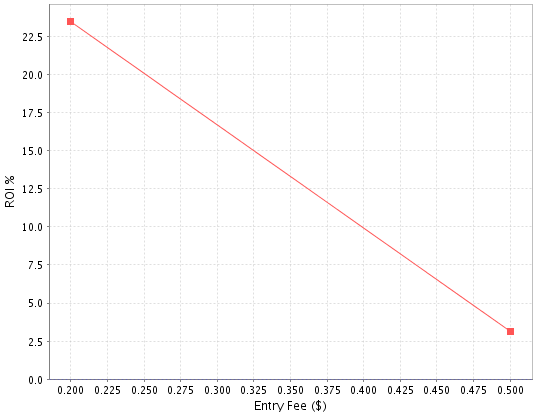 As can be seen in the above graph, at the current time I have achieved the goal of getting my Darwin ($0.50) ROI above the 0% mark. It's currently standing at approximately 3%. My goal now is to maintain it above 0% and to get it above 5%. Posted by John Cook on Saturday, 14th March 2009 . Last updated on Sunday, 15th March 2009 .